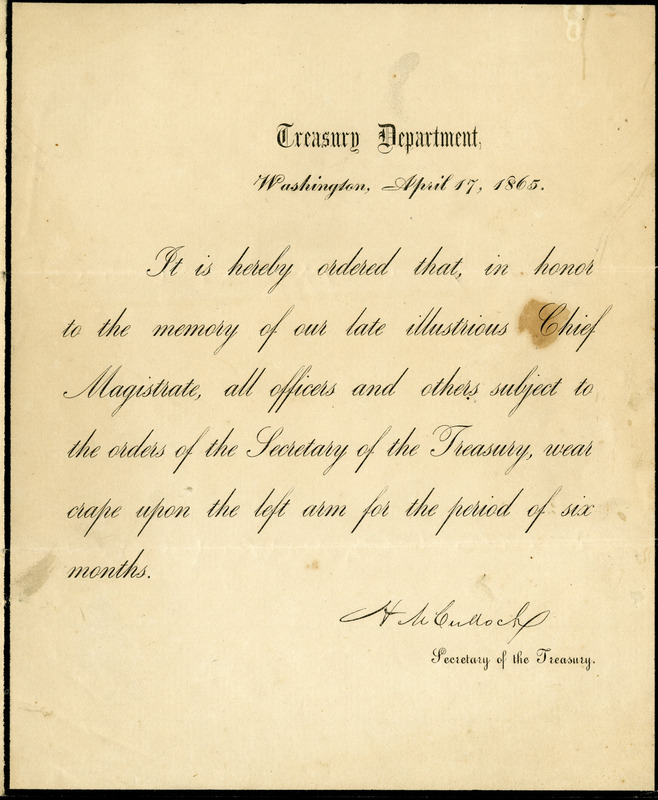 Printed order issued by the Treasury Department in Washington and signed by Secretary of the Treasury Hugh McCulloch instructing all Treasury employees to wear a crepe arm band for six months following Lincoln's assassination. Kislak Center for Special Collections, Rare Books and Manuscripts, University of Pennsylvania Libraries. Gordon Block Collection of Lincolniana, UPenn Ms. Coll. 941, Box 3 Folder 13.